CMYUK is one of the longest established and most popular independent suppliers of wide-format printers and cutters that span all production requirements. That’s why we’ve opened the most advanced state-of-the-art showroom and demonstration suite in the UK. Our expertise in the markets we’ve served over the years shows us that businesses want to deal with a supplier that not only has the right equipment for their needs but also provides complete transparency when it comes to delivery, installation, training and ongoing support. Unlike many specialist suppliers, everything ordered from CMYUK is delivered and installed with no hidden costs, a full parts and labour warranty and free unlimited training. Whether you are looking to invest in the latest LED UV curable, textile, solvent- or aqueous-based printers, the most efficient cutting system or the most efficient end-to-end productivity software, our new showroom facilities have been created to show real working environments in a practical set-up. You can run your own test jobs, have easy access to the workflow and the printer or cutter, and see just how each system will benefit you in your own premises. 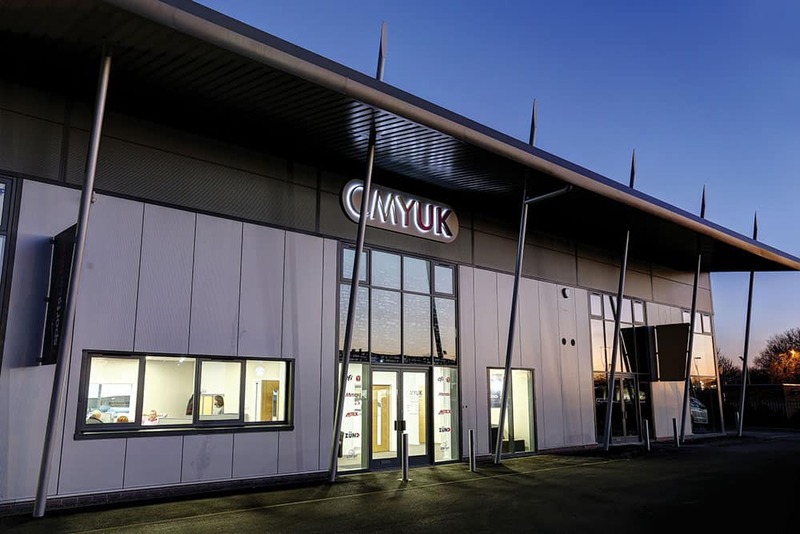 CMYUK’s Shrewsbury showroom and demonstration facilities offer the opportunity for you to evaluate today’s leading technologies in a single environment. And, once you’ve invested, we are always available whether it’s for technical support or additional training.